We drive down a long gravel road parting a sea of grass. I look up and see the moon – a fingernail crescent. We park the truck in front of an old cottonwood tree and cut the lights. To the west, the night sky is still dark and star-filled; to the east dawn is a faint blue on the horizon. “Make sure not to slam your door” Forsberg whispers. We grab our gear. Tripod? Check. Camera? Check. Hat, gloves, blanket? Check. I slide out of the car and click the door shut. We sneak quietly, gear in hand and on our backs, toward our blinds, two dark shadows in the morning twilight. “Watch your backpack,” Forsberg says, as I shimmy in between the barbed-wire fence. As we approach, our blinds come into focus. I unzip, un-click, and unsnap my blind and slide into the darkness. I’m left with only a sliver of light from a small window that opens onto a vast prairie. Inside space is tight. I kneel and set up my gear: Tripod, Sony FS 7000, gloves, blanket, and a chocolate chip cookie. Once everything is in place, we sit and wait. I’ve never before been in a blind. Not like this one. I’ve been in a large, wooden, stationary blind to watch the mighty Sandhill Crane migration on the Platte River, but never a blind as small as this one, nor one this close to the action. It’s dark and cold, and I have no idea when they are coming. Moments later, we hear them. The first, faint sounds are deep, calming, and enchanting. I can’t see them, but I know they are there. When the prairie chickens finally arrive, I suddenly find myself in the middle of a dance floor. 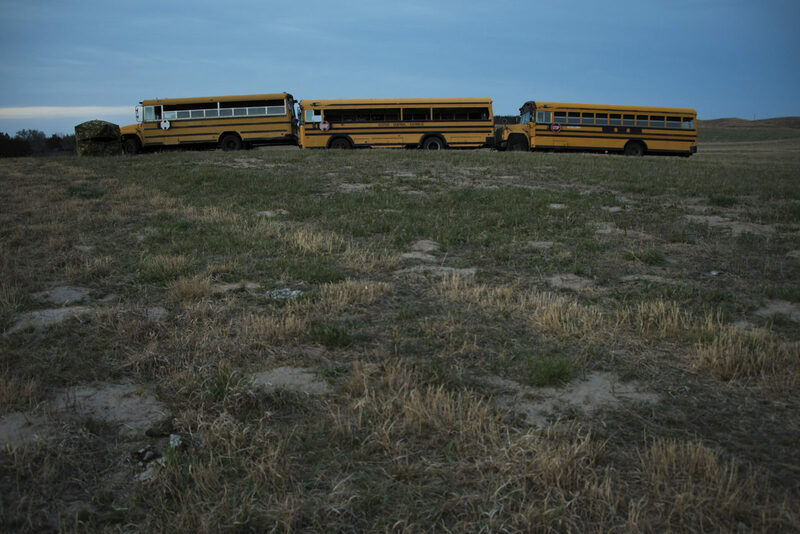 Three school buses converted into blinds on a prairie chicken mating ground located at the Switzer ranch in the Nebraska Sandhills. In early April 2016, members of the Platte Basin Timelapse Project (PBT) and NET went to the Switzer Ranch, located in the heart of the Nebraska Sandhills, to film the annual Prairie Chicken Festival for our forthcoming documentary.  The Switzers have created this ecotourism event so that Nebraskans and visitors to the state can learn about and experience firsthand the Prairie Chicken’s charismatic mating ritual and the beautiful Nebraska Sandhills. 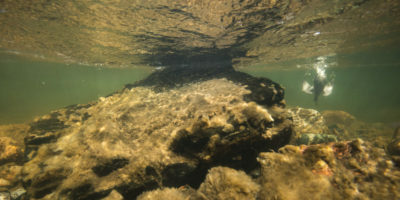 Before we left on the trip, Mike Forsberg and Mike Farrell briefed us on what to expect, what to bring, and potential photos that we needed to get. The shot list included, but was not limited to, people eating breakfast, people getting on the bus, people getting off the bus into the blind, people watching the birds, and most importantly the birds. “You’ll hear them before you see them,” said Forsberg. Once all of the males find their territory on the dancing ground to form what is called a “lek,” the show begins. I tried to imagine the chaotic choreography of what we would see: Prairie Chickens jumping into the air, attacking each other to show dominance and to prove their strength to the females. I was told that the ritual would happen within seconds, but I wondered, “What if we could slow it down? What if we could see this ferocious sparring match in slow motion?” So I did some research and found a camera that would capture these birds in high-quality slow motion. The Sony FS 7000 can shoot 240fps with 1920 x 1080/60p AVCHD video quality. We rented the camera, and I had only a few days to learn how to use it. No pressure right? After several days of trial and error in the office, it was time to pack it up and head to the Sandhills. Below is a video of some of the footage that I captured with the camera. Seeing these birds spar in real time is comparable to watching popcorn pop. It’s fast and hard to see the details of what is going on. When the motion is slowed down, the real intensity of these sparring matches is much more visible. We can see biting, scratching, feathers flying, and the whites of the birds’ eyes.